Our family totally fell into the stereotypical “no junk food” household which housed kids that got to eat all the goodies they wanted when they went to visit grandma. Pop-Tarts were a big no-no at home, but grandma always had a box in the pantry. Potato chips? They only existed at grandma’s. Sugary cereal that would rot our teeth? Forget about it, but you could count on a box of Cocoa Krispies at my grandma’s. Ice cream treats at home? Only popsicles, but grandma’s? Her freezer stored an endless supply of Klondike bars and a few other miscellaneous goodies. It was always a treat to throw open that freezer door and grab a foil-wrapped square of frozen deliciousness. The hard chocolate shell around creamy vanilla ice cream was enough to make my weekend! Bonus if it was during the summer since my grandma never had air conditioning (or a dishwasher – she needs to be nominated for martyrdom!). When I started thinking about the different types of homemade frozen treats I wanted to make this summer, Klondikes neared the top of my list. They bring back such fun memories of being a kid, playing at grandma’s, sleepovers, Slip n’ Slides, and carefree summer days. Plus, I figured that if they were made completely from scratch, they’d be even better than the original. With only three ingredients, there’s no excuse to not make these this summer! Have you ever wondered what it is that creates that hard, crunchy outer shell on a Klondike bar (or any ice cream bar, for that matter)? It’s so incredibly simple I would have never dreamed it was possible if I hadn’t done it myself! 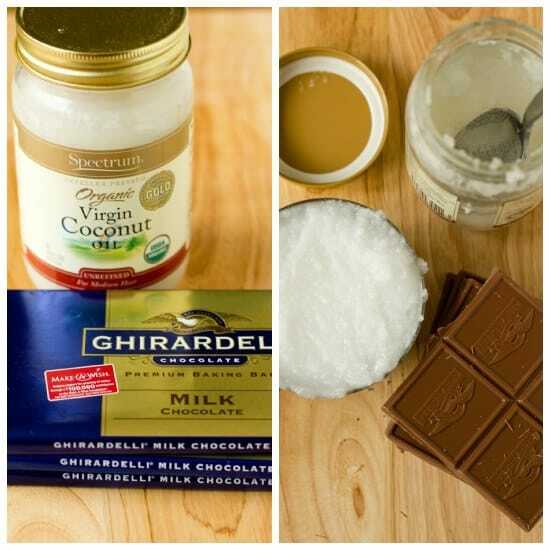 Only two ingredients – chocolate and coconut oil! Who knew?! Those are the components for what is commonly referred to as “magic shell” – the ice cream topping that hardens almost immediately after coming into contact with ice cream. I saw a ton of different guidelines for the ratio of chocolate to coconut oil and ended up just winging it based on what I saw. I was really happy with how thick the coating was and how hard it dried. I churned up my favorite vanilla ice cream for the occasion and used that for my ice cream squares, but you could certainly use your favorite store-bought vanilla brand. I have been imaging all sorts of fun variations on this basic recipe. 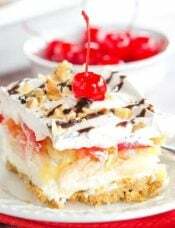 You could certainly substitute the vanilla ice cream with your favorite flavor, use semisweet or dark chocolate as well. I’m also thinking about dipping the ice cream in salted caramel and then the chocolate. Another possibility could crushed pretzels mixed into the chocolate coating. The possibilities are endless! What would your ultimate homemade Klondike look like? 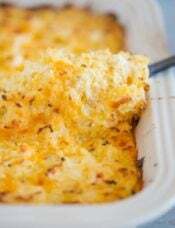 Line a 9x9-inch square baking pan with foil or parchment paper; set aside. If you are using homemade ice cream, churn the ice cream and then immediately spread it into the prepared pan. 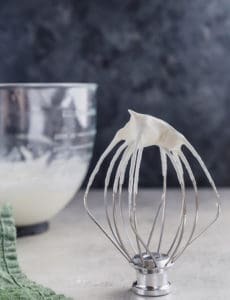 If you are using store-bought ice cream (or already-churned homemade ice cream), let it soften in the refrigerator for about 30 minutes, and then spread it in the prepared pan. Cover the pan with plastic wrap and place in the freezer for at least 6 hours, or preferably overnight. When ready to cut the ice cream, line a large baking sheet with parchment paper. 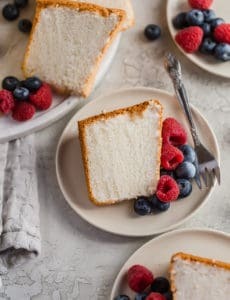 Remove the pan from the freezer and, using the foil or parchment overhangs, lift the block of ice cream out of the pan and place on a cutting board. Working quickly, cut the ice cream into 9 even squares, using a biscuit cutter or a sharp knife. 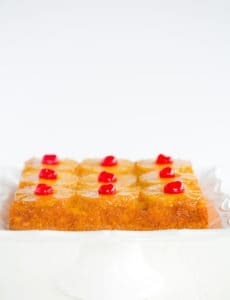 Use a flat stainless steel spatula to lift the squares onto the baking sheet lined with parchment. 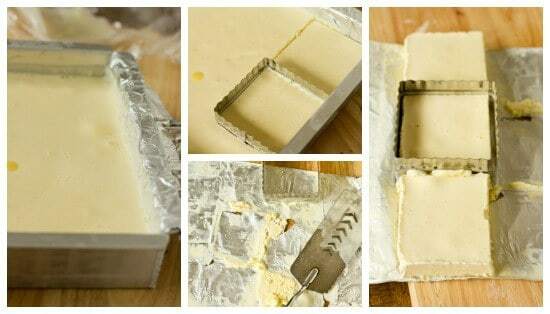 Place the baking sheet with the squares of ice cream in the freezer for at least 1 hour. Meanwhile, prepare your chocolate coating. Set a medium-sized bowl over a small saucepan with about an inch of water in it. Turn the heat to low and place the chocolate in the bowl, stirring occasionally, until it is completely melted. Once the chocolate is melted, add the coconut oil and stir until it has been completely melted and incorporated into the chocolate. The mixture will be very thin. Turn off the heat, remove the bowl from the top of the saucepan and place on a wire cooling rack. Stir occasionally and allow it to cool to room temperature. 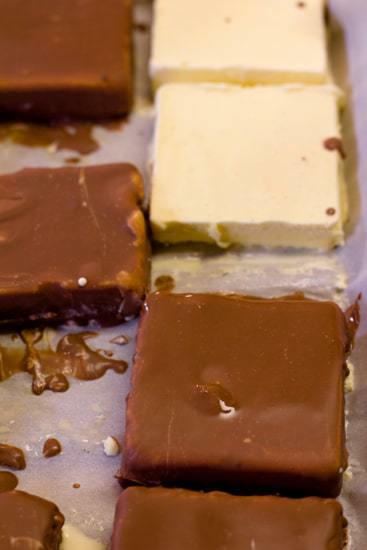 Once the ice cream squares have been in the freezer for at least an hour and the chocolate mixture has reached room temperature, remove the baking sheet from the freezer. 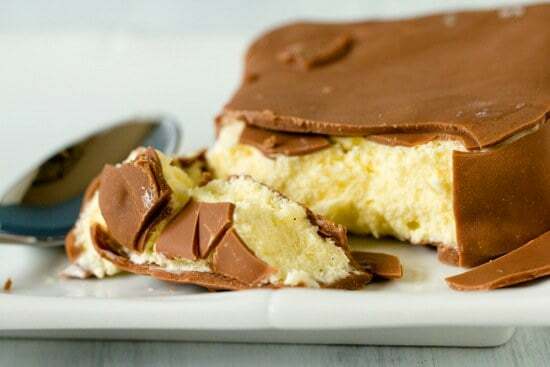 Working very quickly, use a large fork to dip one ice cream square at a time into the chocolate mixture, ensuring that it is completely coated. Lift it out and place it back on the parchment-lined sheet. Repeat with all of the ice cream squares and then return the sheet with the chocolate-coated squares to the freezer for at least 30 minutes. At this point, you can dip the squares again for a nice, thick chocolate coating (which is what I did), or you can be finished. If you dip them again, follow the same process as above, and again allow to freeze for at least 30 minutes following dipping. Once you are finished, you can wrap each square individually in plastic wrap, place in a zip-top freezer bag and store in the freezer. « Previous PostFree Food Friday: Sugarcrafter Sweets Giveaway! 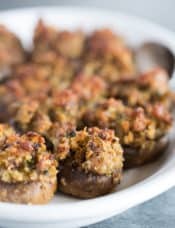 These were delicious and super easy… only hard part is being patient between steps! I am currently in the middle of my second batch using your peanut butter ice cream! Was wondering if you mean to stab the ice cream square with a fork or just use it like a “shovel” to lift the pieces out? I’ve tried both approaches, but am curious of your exact method. Hi — I tried these and when I dipped the ice cream in the chocolate, the chocolate started to harden up. I could only get two bars coated before it made a huge mess. Any advice? Hi Katie, You could keep the chocolate warm over a double boiler to keep it from cooling off too much in between dips. such a good receipe, when i saw it i did not think twice i bought the ingredients and tried it. but my magic shell was a fail. how can i repair it? i cant finish it because of the shell. help please. Hi Irene, Can you explain how it is a fail? What happened? it was not as hard as expected. more of a watery. i already add more chocolate cause i think i added too much water. then i again add coconut oil but still it did not became a magic shell. Hi Irene, The mixture should be watery when you dip the ice cream into it; it will harden as it sits. Oooooo, these look great! The only ice cream treats the hubby eats are Klondike Bars and I hate the idea of all the chemicals and processed junk in them (as tasty as they are). I do believe these may have to make an appearance on my blog (with a thanks and link to you, of course!) :) We Alaskans do love our ice cream! These were amazing and incredibly fast in my Zoku popsicle maker. I used your vanilla ice cream recipe. then, I melted guittard chocolate chips at 80% power in the microwave for a minute and a half, in a short jar before mixing with coconut oil. The ice cream pops were frozen in 9 minutes. I dipped them in the jar of chocolate which made a fantastic shell (I always wondered how they made that!). 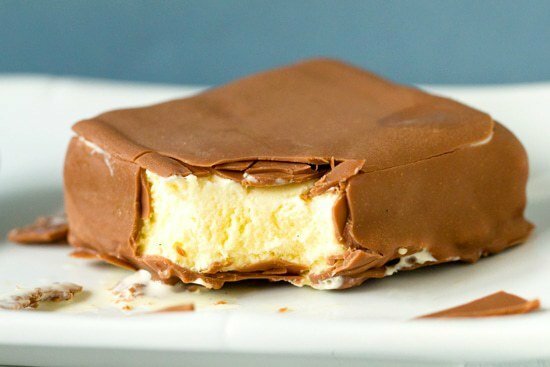 OMG…like a Mounds ice cream bar! Absolutely delicious and soooo fast! :/ I find it frustrating that no one in the comments actually had made this and posted a review. 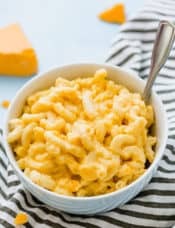 I made these and they were delicious! I used an Easter Bunny cookie cutter because I made them for Easter. I love homemade icecream!! I just started a coconut honey churning in my machine. 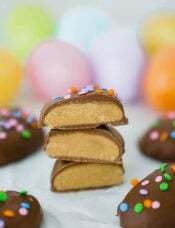 I will have to make these with some dark chocolate! I can’t wait!! The ideas really are endless. Id love to know how the salted carmel goes!! This have been added to my “must make” list! 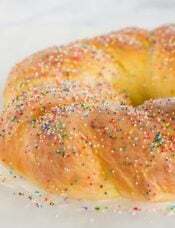 How perfect these could be for a birthday party, just add some sprinkles! thanks! Holy fat kid happy! We had tons of junk food in my house growing up but I was never much on it. 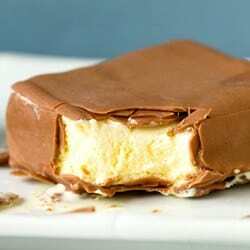 Now a Klondike bar – theres one thing I could never turn down. Where did you find that square cutter? GIRL! I love this idea! So glad I bought that coconut oil..you just made my day, seriously. wonder if the sugar free chocolate chips would work? thanks for sharing the recipe :-). I’ve never heard of sugar-free chocolate chips! Do you mean unsweetened chocolate? If so, it would be much, much too bitter. If it’s some sort of sugar-free with a sugar substitute, then I think that would work.